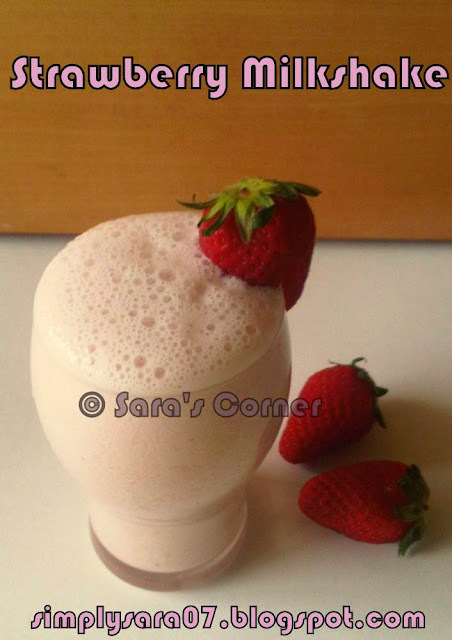 My son likes strawberry flavour a lot, first time I bought fresh Strawberries and tried the Milkshake. It was refreshing and good to beat the heat. Grind strawberries, sugar and water to smooth paste and add milk and again whip to smooth paste. Serve chilled or as it is. Notes - Can use any milk or chilled milk. 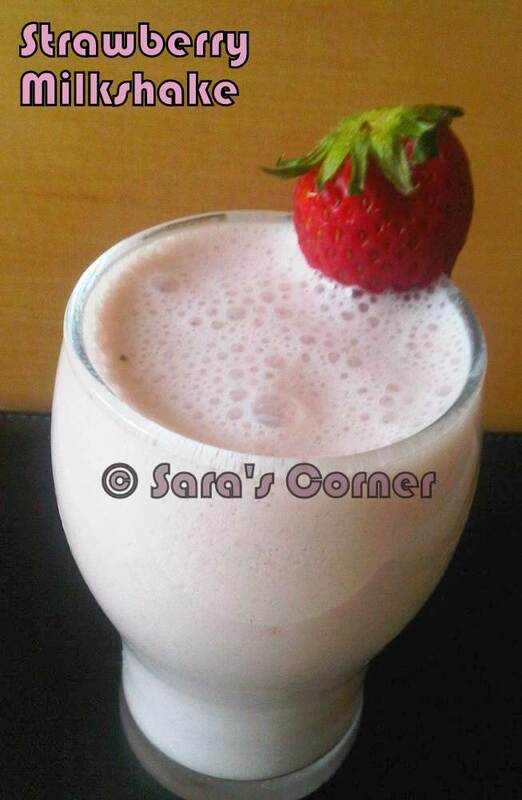 This recipe is going to Food Palatte Pink by Akheela and Fun n Sun by Radhika. Hey this milkshake sounds so refreshing!! I heard adding vanilla ice cream enhances the taste. I shall try it next time! Btw, Can you add our current event 'Design A Menu - 2' to the list in your space? It ends on may 15th. Simply inviting and tempting shake.. Sounds superb and yummy !!! so refreshing milkshake !! and pretty color ! !